Join us at the Muse Tasting Room on Sunday, February 4th at 2 PM for the grand opening of our February Art Show. Come enjoy tastes of Muse’s estate-grown, aged and bottled wines, while admiring the works of esteemed local artist, Wolfgang Neudorfer. 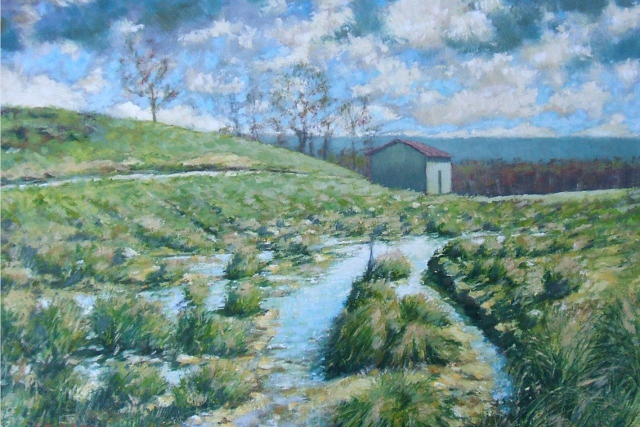 Owner of the Wolfgang Neudorfer Fine Art Studio in Toms Brook, Wolfgang’s subject matter and themes capture unforgettable Shenandoah Valley landscapes, townscapes, and especially, the Shenandoah River. He has won numerous awards in judged exhibits and shows, and currently exhibits in The Warehouse Gallery in Luray, 7 East Gallery in Woodstock, and Shenandoah Valley Art Works Gallery in Strasburg. Muse Vine Club Members, the Next Pick-up Party is Coming Soon! SAVE THE DATE: The next Vine Club pick-up party is February 17th. Muse Vine Club Members, Please Note: We Roll Out the Barrel on February 25th! 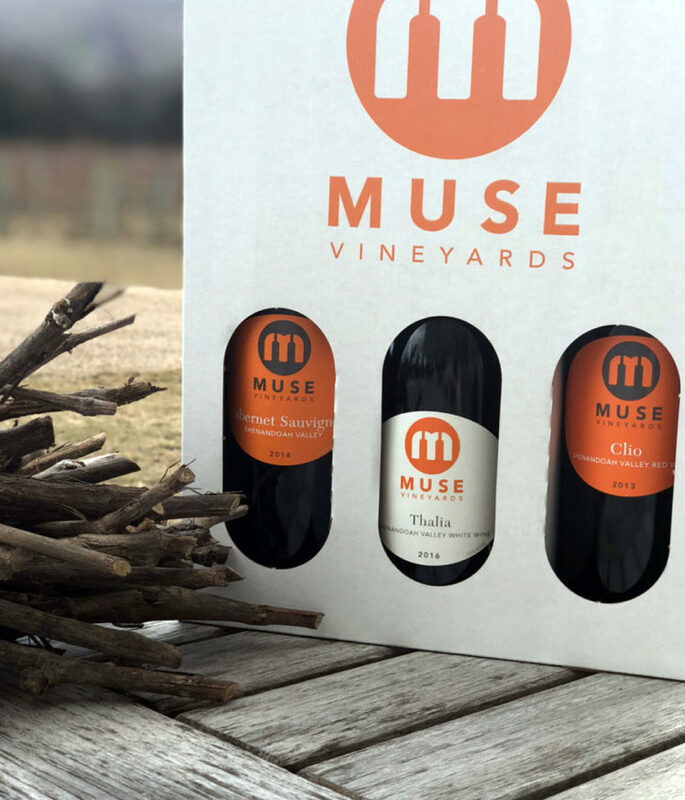 Vine Club Members can reserve their chance to get a taste of future greatness, when Proprietor Robert Muse hosts an exclusive, members-only barrel tasting on Sunday, February 25th, 2:00 to 4:00 p.m. Be among the ﬁrst to sample in barrel our future releases. 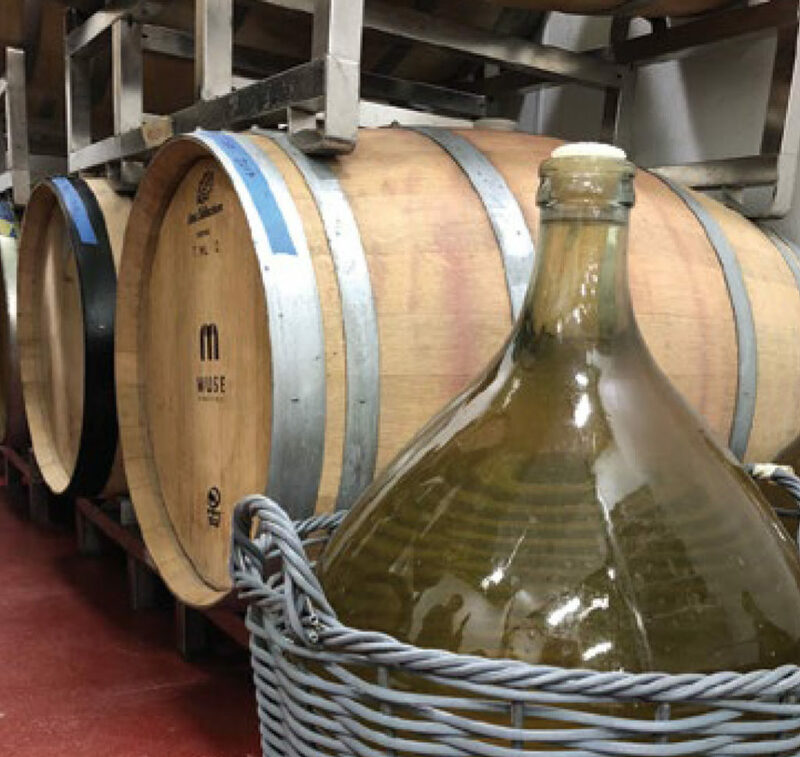 If you have any questions about our wines, or winemaking in general—ask away! Winter is the time dormant vines are pruned. But why prune at all? An abandoned Virginia vineyard is instructive. Two years after its last pruning a vine will have shoots twelve to ﬁfteen feet long that will have grown to the top of the trellis and collapsed to the vineyard ﬂoor. Within another year, the vineyard superstructure (e.g. posts, wires, etc.) will be hidden under a mass of foliage. A year or two after that and the rows will no longer be recognizable. Instead of a vineyard there will be an impenetrable thicket of tangled vines, each in a savage competition for water and the sunlight necessary for photosynthesis. Because it is the latter process by which vines accumulate carbohydrate reserves to survive winter, vine death will soon start among the losers of what has become a Darwinian struggle for existence. Meanwhile, what has happened to the grapes? Vines that are now the size of large hedges will produce many clusters of grapes but they will be hidden under a thick matting of leaves and will therefore never ripen. A few bunches will get to the top of the vine where direct exposure to the sun will produce enough ripeness that birds and the occasional black bear will feed upon and later excrete the seeds to ensure that at least some of the vines will reproduce in more congenial circumstances. Pruning aims at one principal result – a stand-alone vine capable of producing grapes that are ripe enough to produce palatable wine. There are dozens of divergent opinions about the best pruning architecture and methods. In truth there is no one right way to prune a vine. 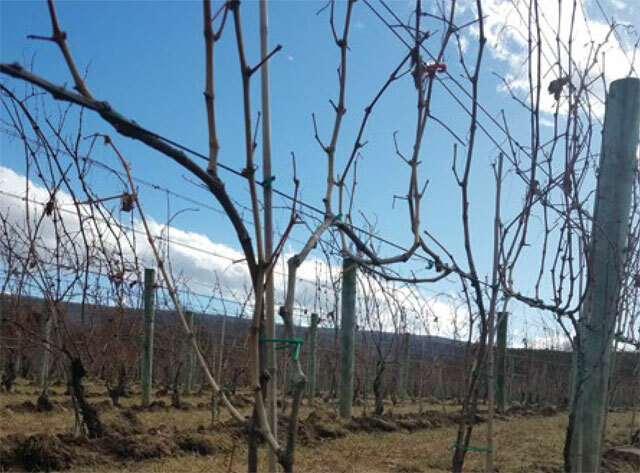 A review of vineyards around the world will produce, conservatively, several dozen pruning modes. Each is a product of tradition, available skilled human resources and climatic conditions. For example, in the French Basque country the vines are pruned to create grape clusters at chest level. The reason for this is late spring frost that settles oﬀ nearby mountains – as all cold air will – at ground level and kills buds. In Burgundy, less than 200 miles away, vines are pruned to a fruiting wire about 18 inches above ground in the belief that soils warmed during the day will release heat through the night and assist in the ripening of ﬁckle Pinot Noir. (waist high individual vines grown without a trellis) to the staked vines of Italy’s Piedmont which are grown in the shape of a goblet. In every case, the viticulturist is employing a pruning method that shapes vines into forms that he or she believes will produce the best wine grapes in the most eﬃcient way. At Muse Vineyards, we use what is called the double-Guyot method of cane pruning. (Spur pruning, where permanent cordons are established along a fruiting wire, is a more common method in Virginia). Our cane pruning aims at two key results: (1) We wish to have a vine that can absorb the maximum amount of sunlight to fully ripen its properly positioned grapes. (2) We wish to have a vine that will not over-crop and therefore produce un-ripe fruit. 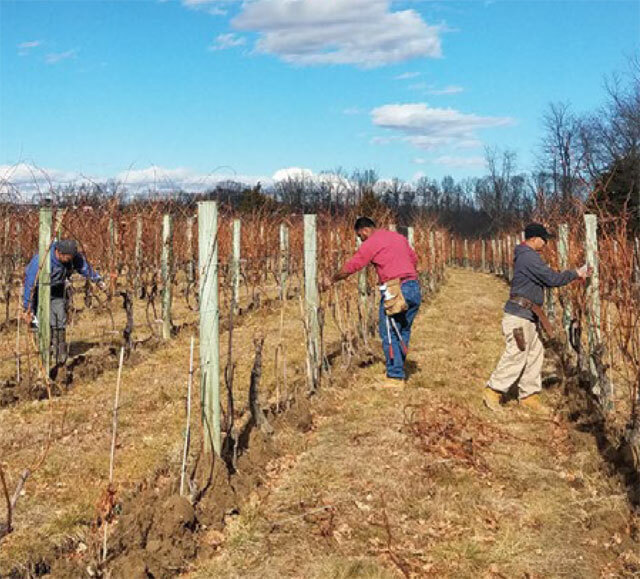 Double-Guyot pruning requires some skill, in that a vineyard worker is making constant decisions that will aﬀect not just the grape crop in the coming autumn, but also the grape crop in the following year. Rather than tax our readers with a lengthy description of cane pruning we refer you to the entry on Jules Guyot in The Oxford Companion to Wine. (Robinson, J and Harding, J (4th. Ed) 2015). There is no one right way to prune a grapevine. We have chosen a skilled pruning method that is performed entirely by hand. It is therefore more expensive and time-consuming than most other methods. We do it to produce the best grapes we can in order to produce the best wines that can be teased out of the impressive physical attributes of the Northern Shenandoah Valley. If our readers are interested in pruning a vine or two between now and early March let us know and we’ll arrange something on a Saturday or Sunday. Don’t worry; a vine is a remarkably hearty creature that is very forgiving of maltreatment by everything from the occasional bear to a novice pruner.